Greg Rides Trails: The Photo Annual: Greg Rides Trails Style! Glancing through a few hundred shots here on the laptop its so hard for me to find one in particular I like. 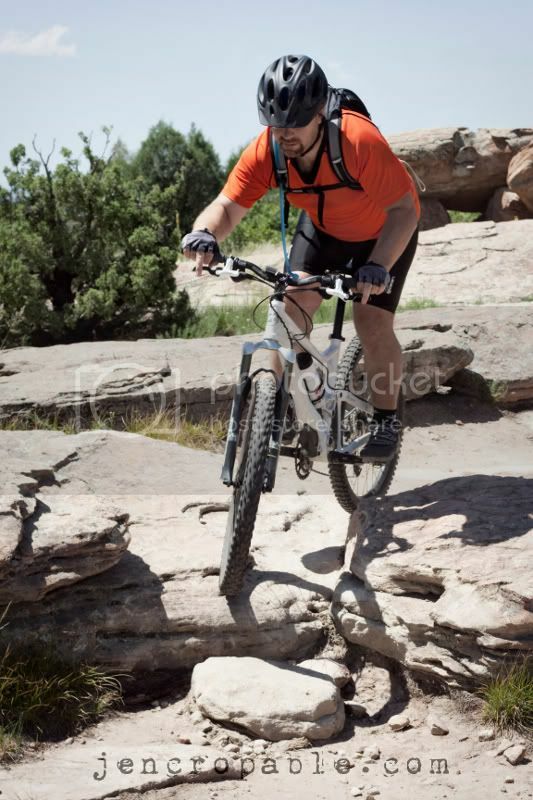 There are too many, I got some fantastic action shots last winter shooting for the races in AZ, plus all the trail pics over the last few years of my traveling. Personally Im not a real competitive kind of guy but do love seeing others pictures- Ill send you this one, not because I feel it’s my best or that it’s a ‘winner’ but because hopefully it is different than any of the other photos submitted to you for this show. 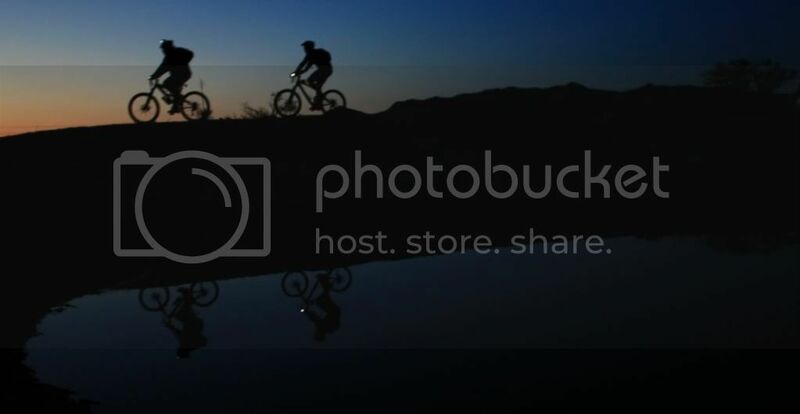 This was at the end of a day 1 of shooting at the 24 Hours in the Old Pueblo race last February outside of Tucson. Well Dan, that photo is a winner! Thanks for participating, and once I have your details, $100 will be on its way to your mailbox! If you would like to check out more of Daniel's work, you can read his main blog here, and check out one of his current photography projects here. Taking second place is Dustin (known as the E-Man) from Georgia. 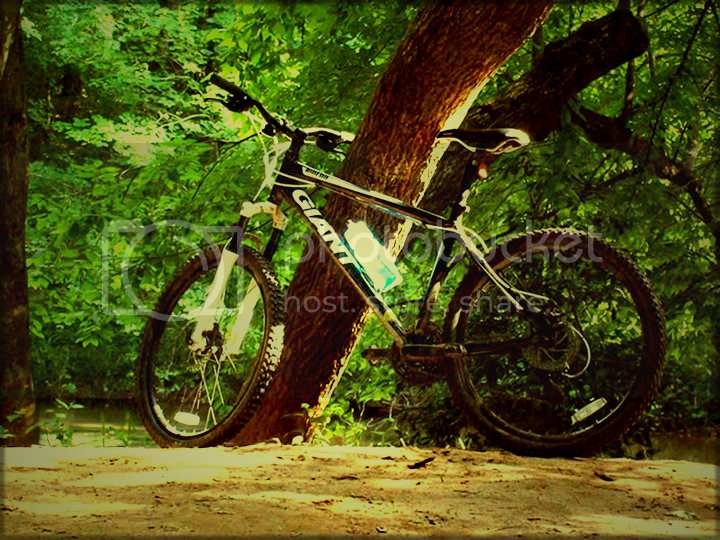 He took this photo while riding at Watson's Mill Bridge State Park. Choosing second place was so hard, but this picture won out due to awesome lighting and color. For second place, E-Man wins his choice of cycling-related t-shirt from Wear Endo. 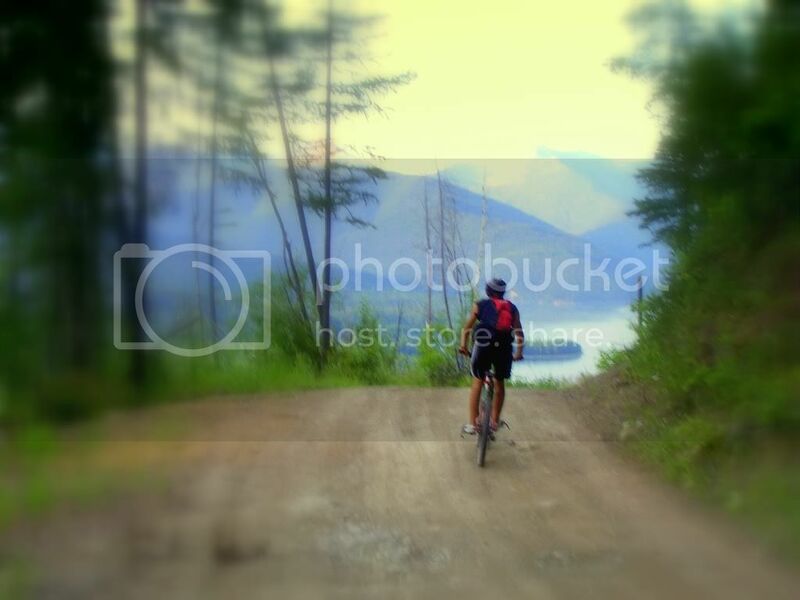 Finishing in the 3rd and 4th place prize category is this photo from Brenton of one of his friends riding near Hungry Horse, Montana. I love the view of the reservoir in the background: awesome shot man! Some Airborne schwag will be heading your way soon! Also finishing in the 3rd and 4th place prize category is Corey from Colorado, bringing us the most intense technical riding of all the photos submitted. Good job, and great form on those rocks! Whatever trail this is, I want to ride it! Some Airborne schwag will be heading your way soon! A huge thank you to everyone who submitted a photo! Please be sure to check out all of the other awesome shots below. 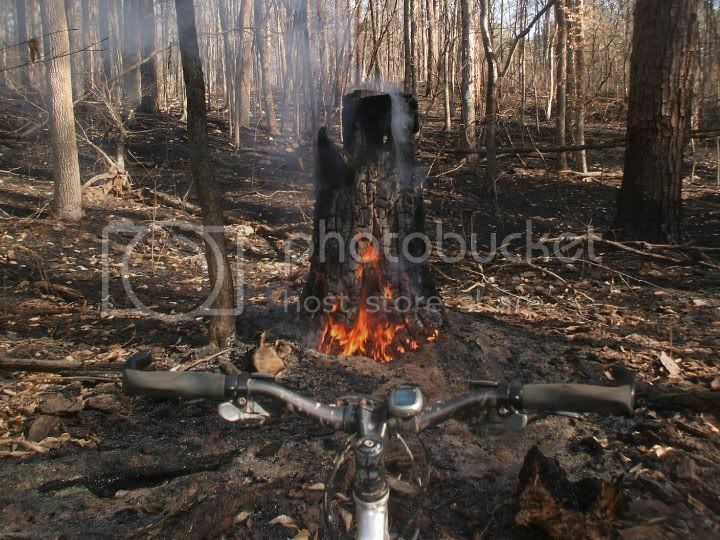 This photo was submitted by Brian and was taken after a controlled burn along the Modoc trail in South Carolina. 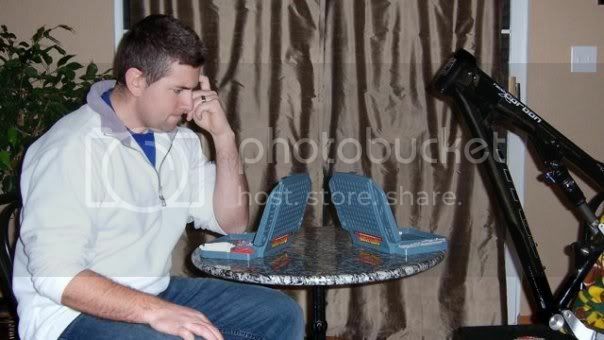 Marty playing battleship with his new frame. 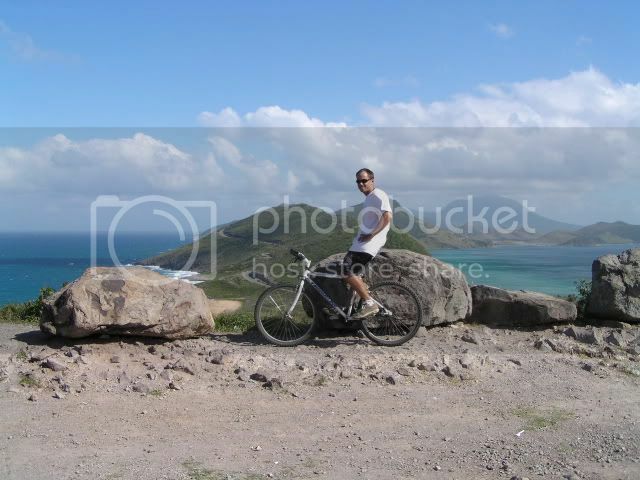 Darryl from Loving the bike at the top of Timothy Hill in St. Kitts. 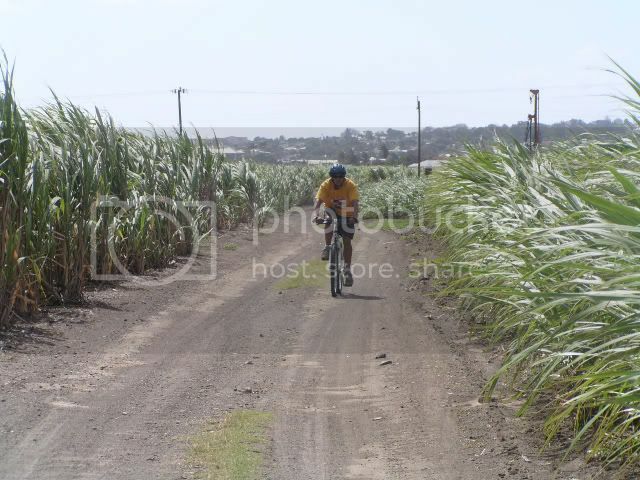 Darryl from Loving the bike "MTBing through the cane fields of St. Kitts." 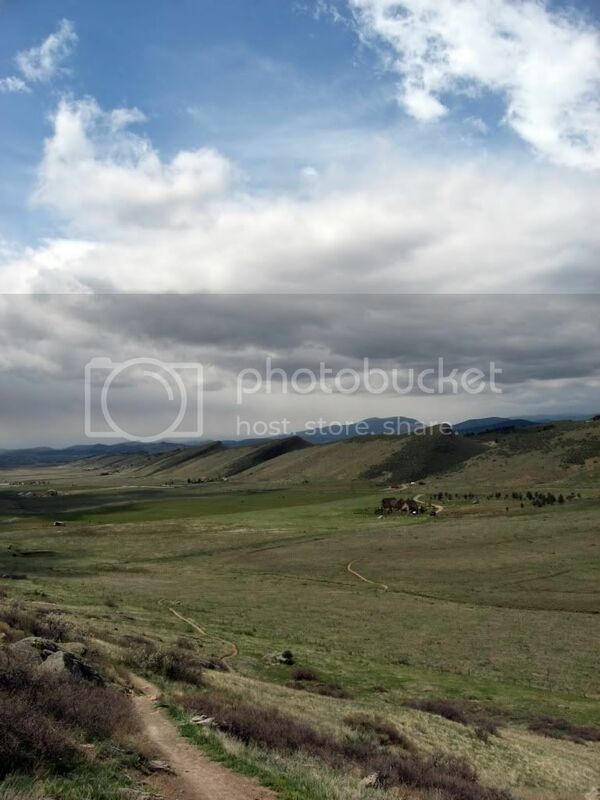 One of mine taken while we were in Colorado this May on the Coyote Ridge trail. Your turn: Please feel free to share these thoughts on these photos! Which one was your favorite, what you liked about individual shots... and if you have a photo that you're dying to share with us, link to it in the comments below, and maybe I'll add it to this post! PS Remember that if you ever go to buy a shirt off of Wear Endo, be sure to use the discount code "gregridestrails" at checkout to get 15% taken right off the top! What an awesome idea, Greg. I love it. You have to be sure and do this each year. But I decided to go with one my wife took, since she is the professional photographer :D.
Thanks for the contest, and I can't wait to get my new schwag! Great photos! Sorry I didn't get any to you. My computer has been really sketchy lately and I'm slowly trying to get stuff off of it so I don't lose everything! @ Darryl, Thanks dude, I'm glad you like it! I'm really pleased with how its turned out! @AirborneGuy, that's ok man, but the $100 is totally gone now, haha! hope you are able to save everything off of your old comp. Hey, if I still lived in Colorado, I'd do it!! !